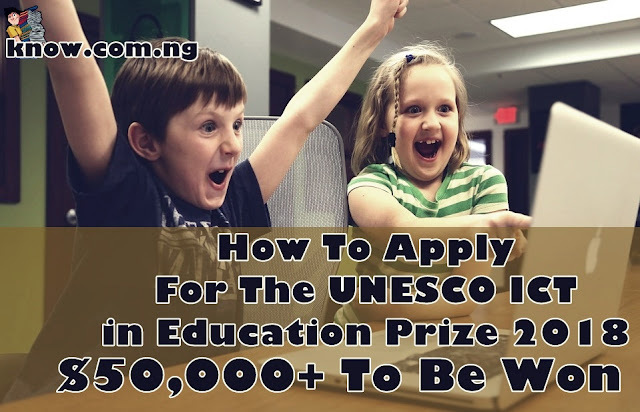 The 2018 edition of the UNESCO King Hamad Bin Isa Al-Khalifa Prize for the Use of Information and Communication Technologies (ICT) in Education will recognize projects and programmes that leverage innovative technologies to ensure education for excluded vulnerable groups. ✓ Two recipients will receive a monetary award of US$ 25,000 each. ✓ The award will be presented at a ceremony in Paris, France. Nominations can be submitted in the given link. Self-nominations will not be considered. New users will have to register from a link from the official link. To find out more about it, please visit the official website Unesco.org.